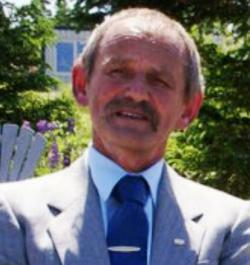 PARSONS, Randall Albert Age 63, of Port Bickerton passed away on Wednesday, January 30, 2019 at home. Born in Sherbrooke, he was a son of the late Banfield and Orpha (Kaiser) Parsons. Randall worked with the Department of Transportation for many years, served as a Justice of the Peace, was former Councillor for the District of St. Mary’s, in District 8, and was an avid Montreal Canadiens fan. Randall is survived by his wife Gwyneth (Rowe); son, Randall (Lori-Ann); daughter, Sarah (Jamie Smith); grandchildren, RJ and Elaina, of Antigonish; sisters and brothers, Evelyn (Blaine) Williamson, Dartmouth; Dot (Gary) Mahar, Sonora; William, Port Bickerton; many nieces, nephews, great nieces and nephews and their families. He was predeceased by infant brother, Robert; and sister, Gail. Funeral service will be held on Monday at 2 p.m. in St. Paul’s Anglican Church, Port Bickerton with Rev. Kristin MacKenzie officiating. Memorial donations may be made to a charity of your choice. Funeral arrangements are under the dignified and compassionate care of G.W. Giffin Funeral Home, St. Mary’s Chapel, Sherbrooke. On-line condolences may be made at www.gwgiffin.com.